GALLERY See this page for pics of past catches - go to 'Pics 2018' for this year! 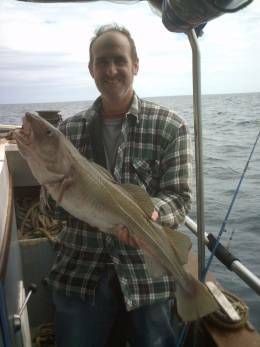 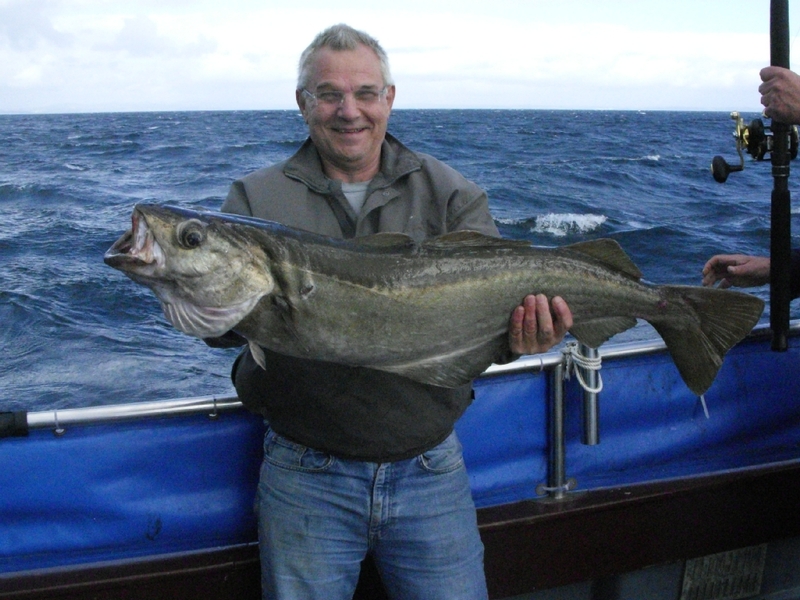 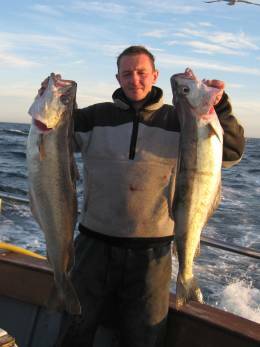 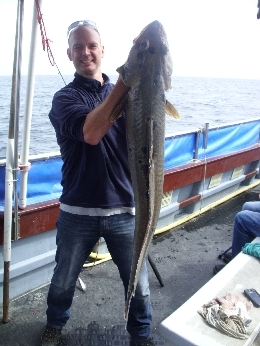 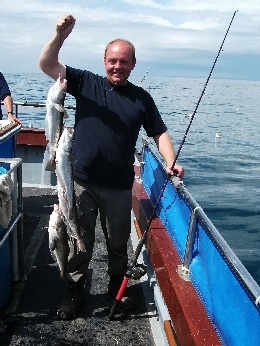 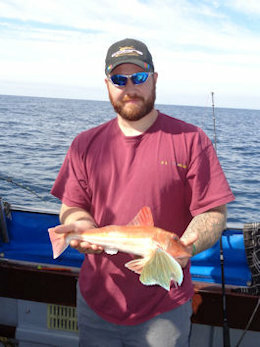 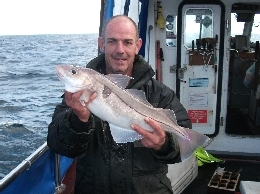 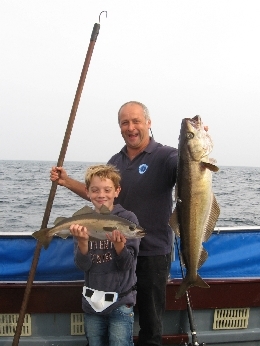 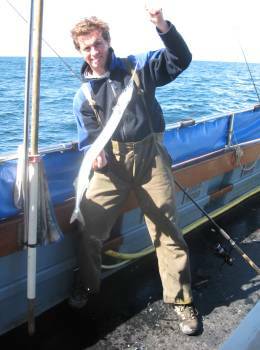 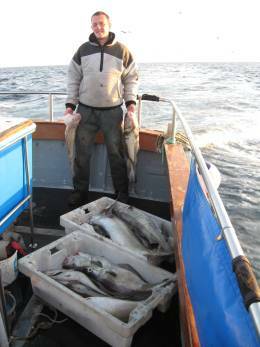 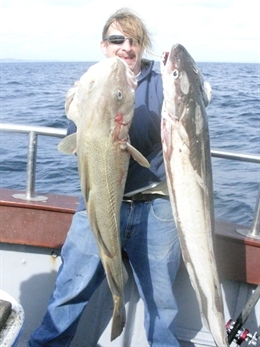 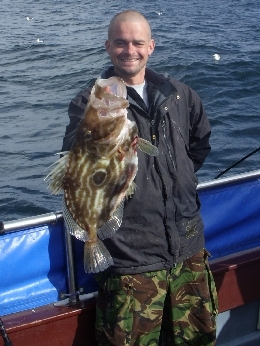 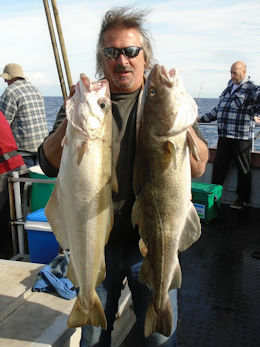 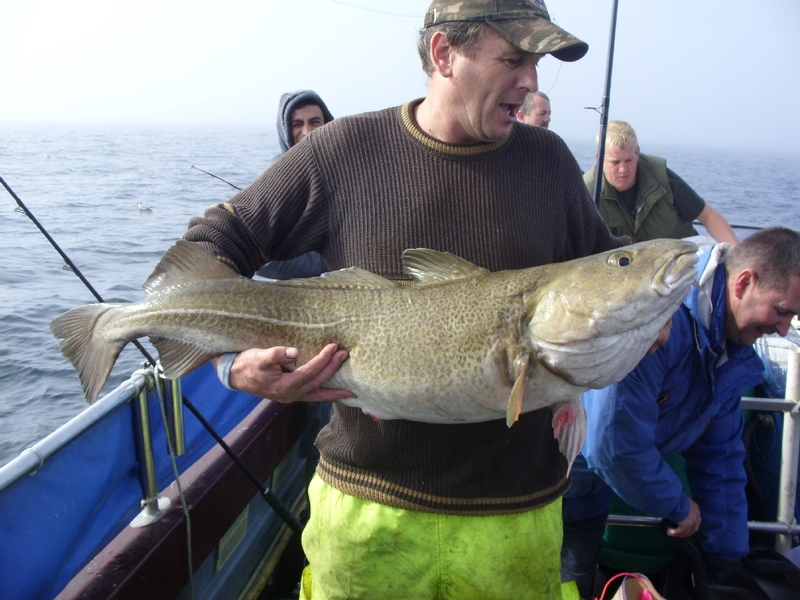 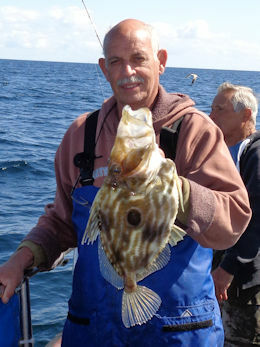 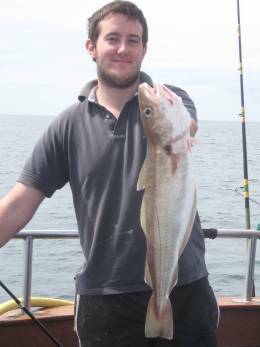 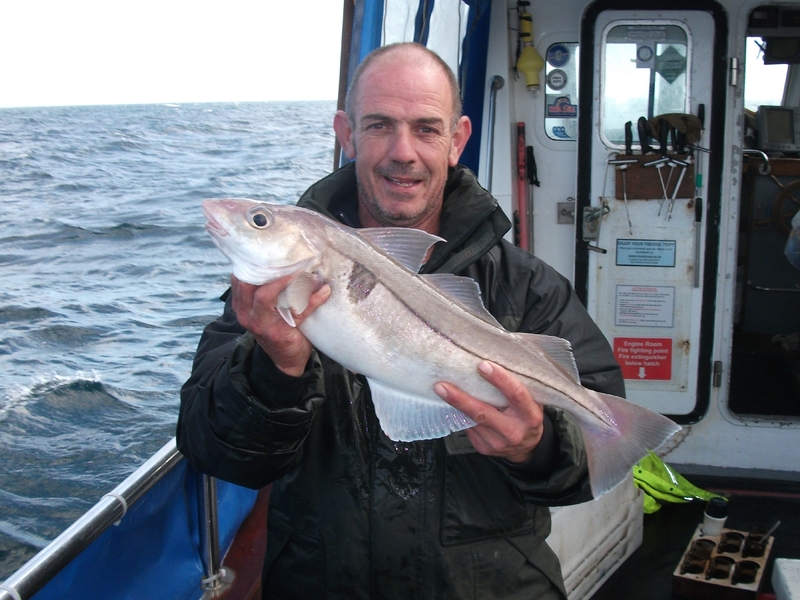 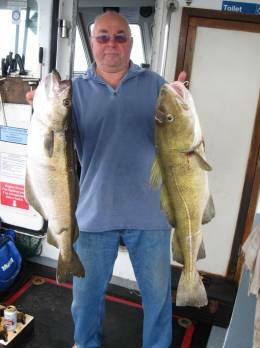 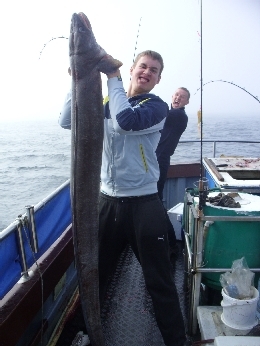 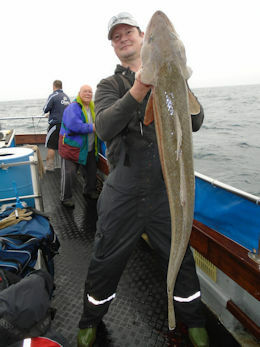 Robert caught a 15lb cod, 10lb pollock & 6lb pollock all on one set of feathers!!! 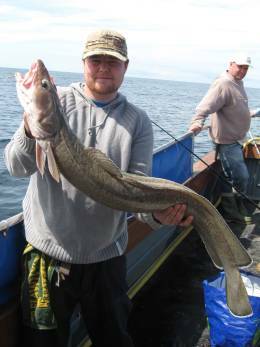 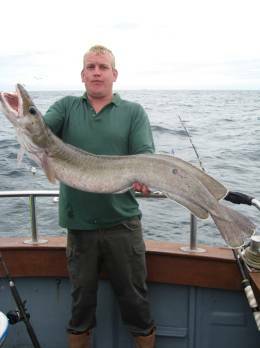 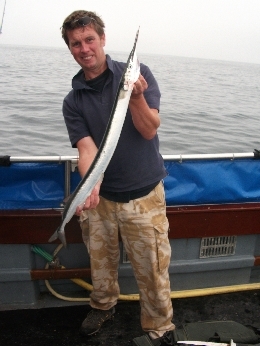 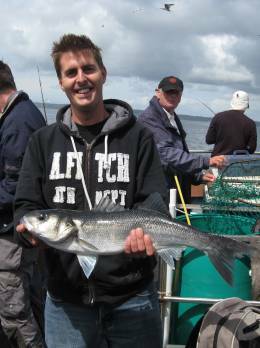 8th September - Del & 2lb 8oz garfish! 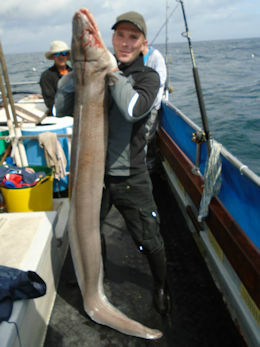 60lb conger - one of 10 by Steve CAR! 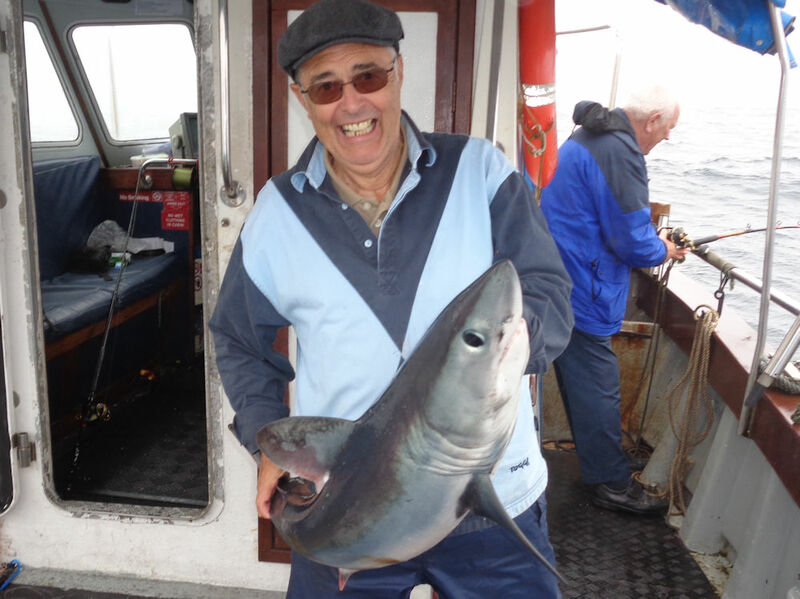 11th August - a bouncing blue! 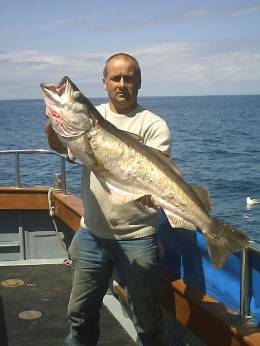 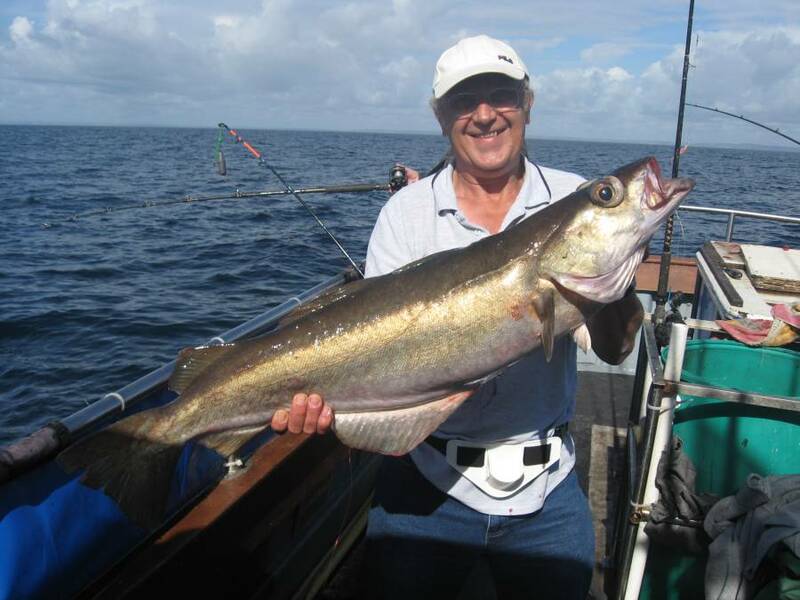 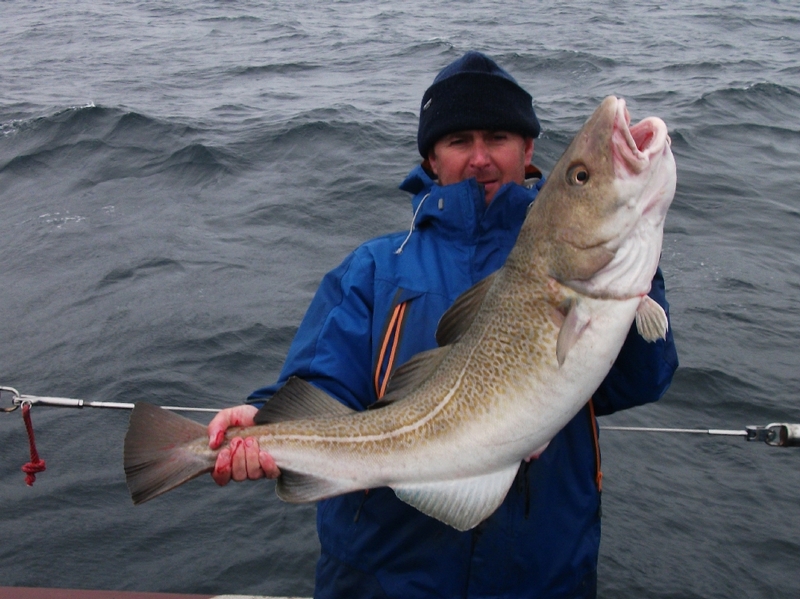 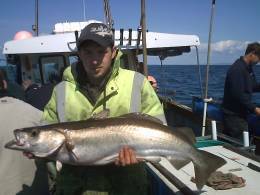 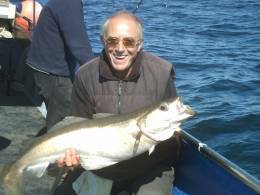 26lb pollock - don't let the skipper fish! 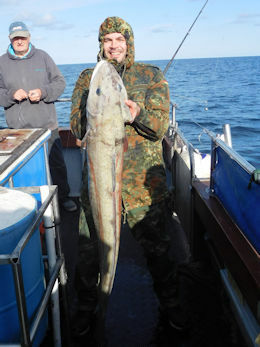 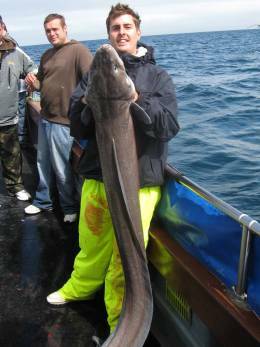 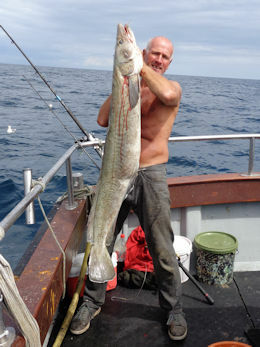 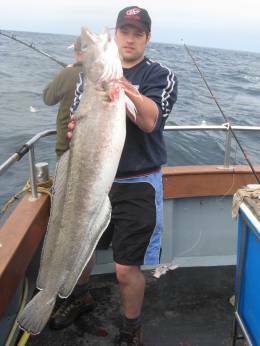 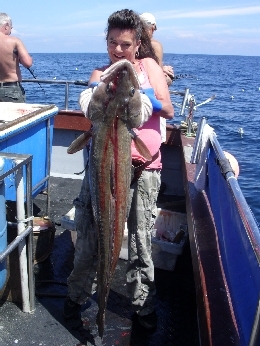 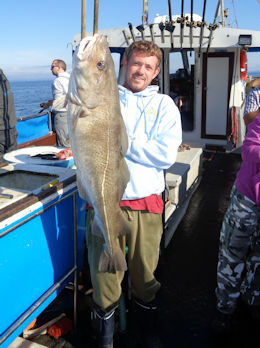 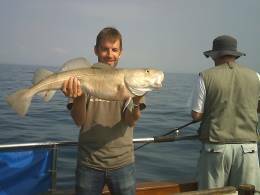 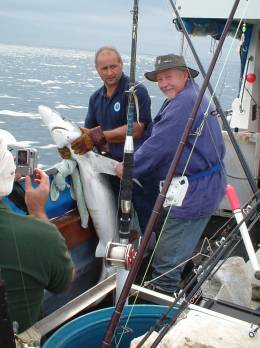 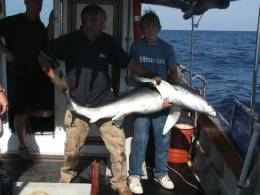 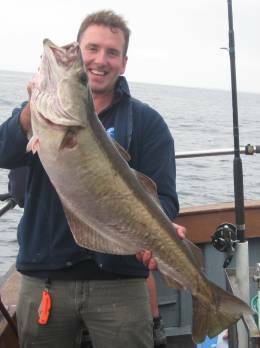 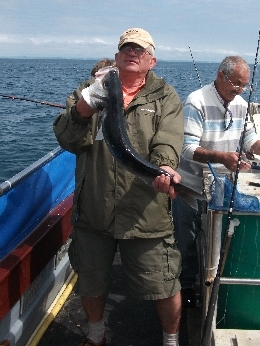 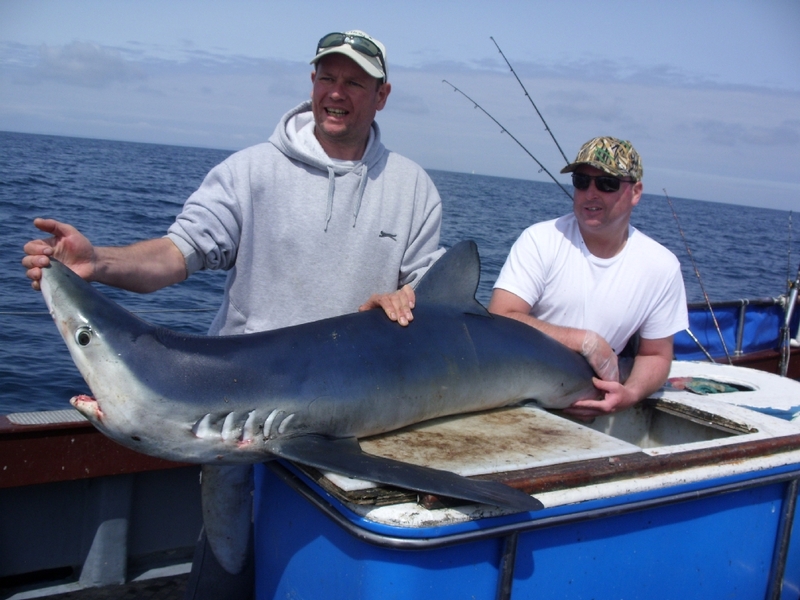 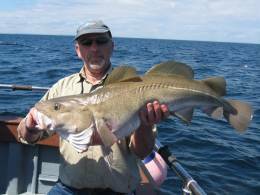 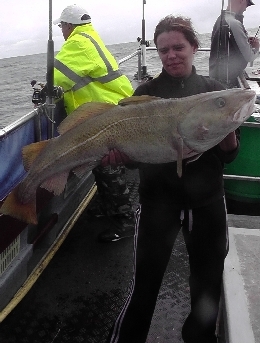 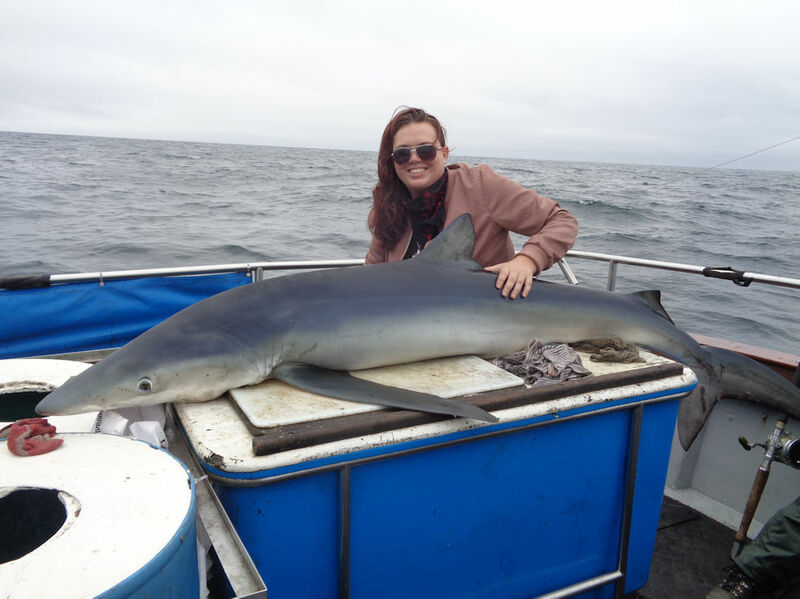 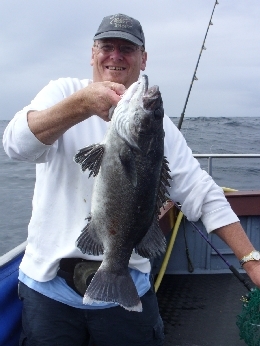 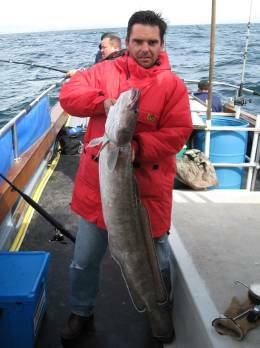 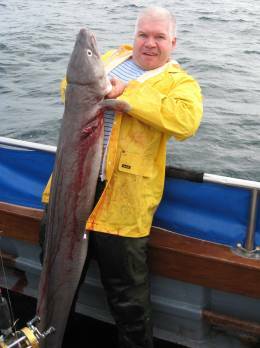 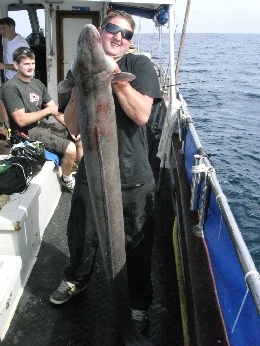 16th Aug - 50lb+ conger...C.A.R. 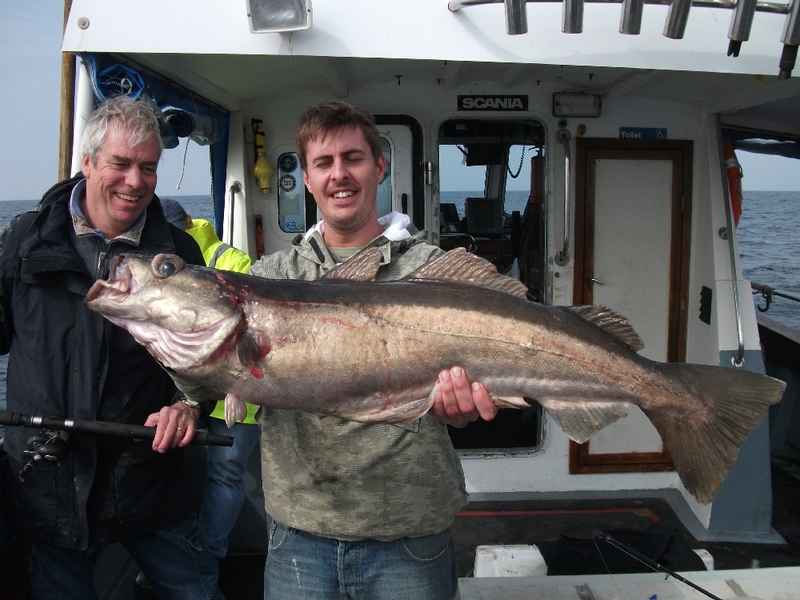 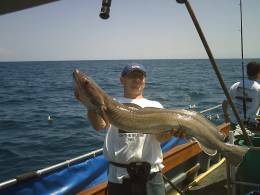 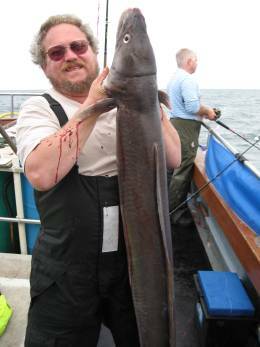 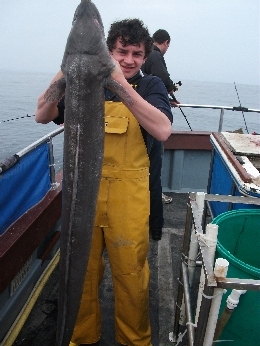 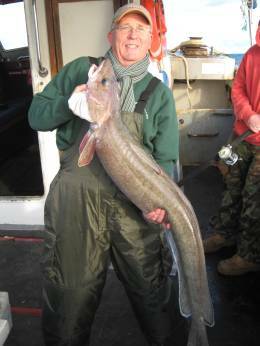 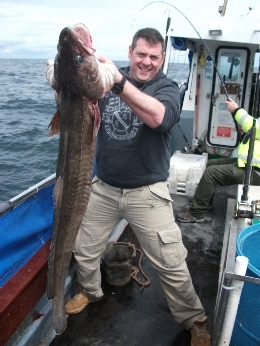 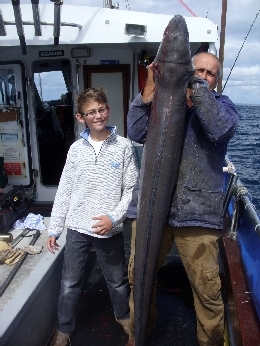 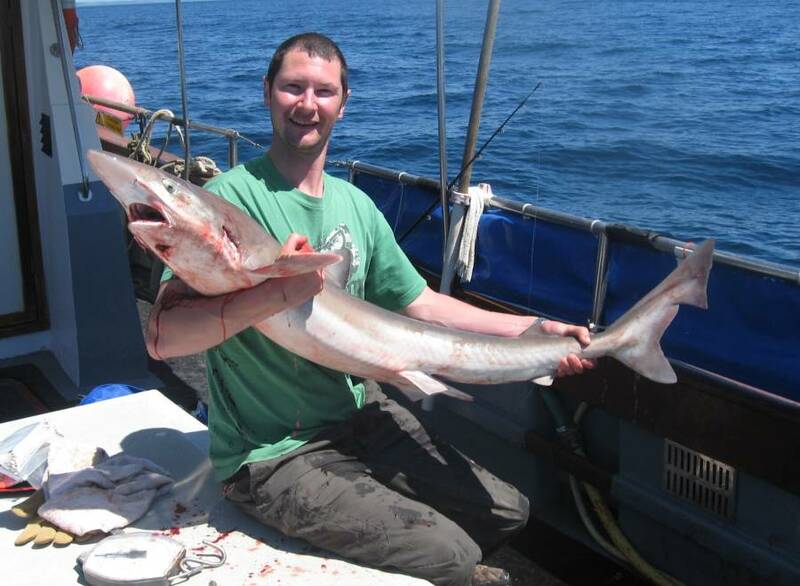 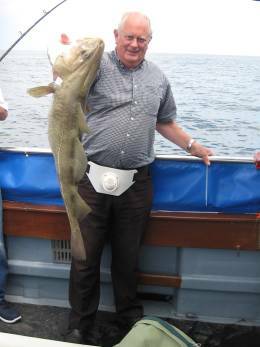 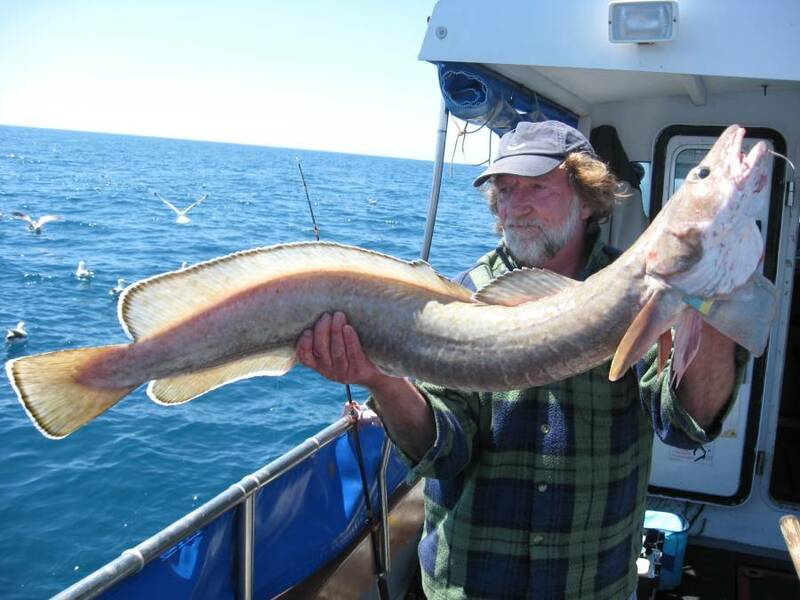 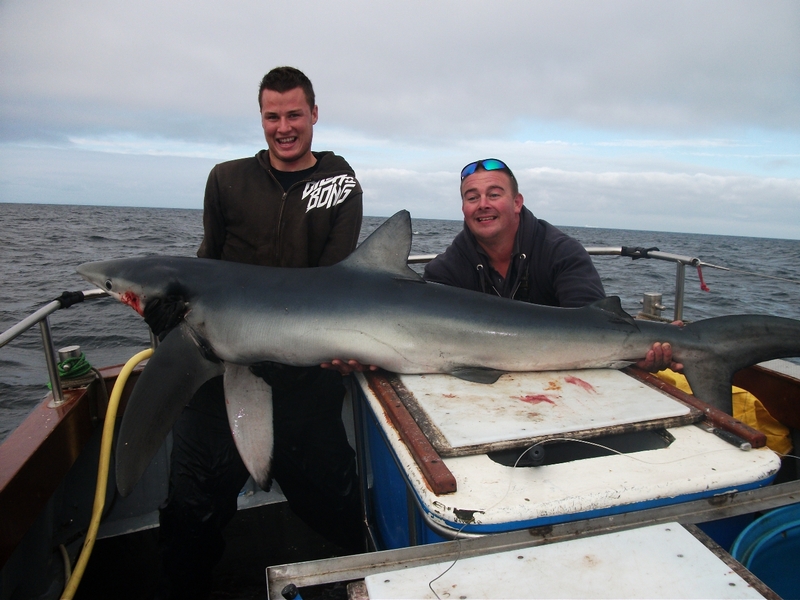 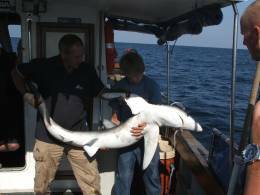 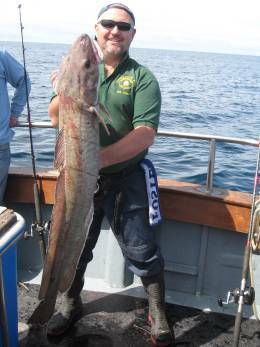 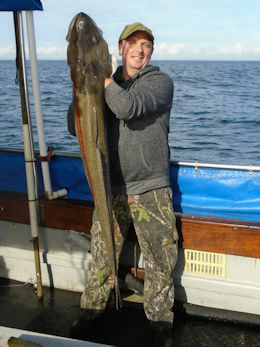 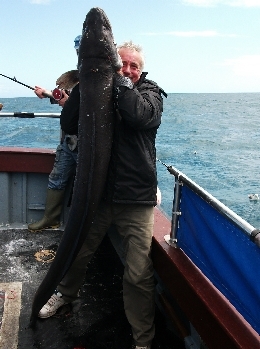 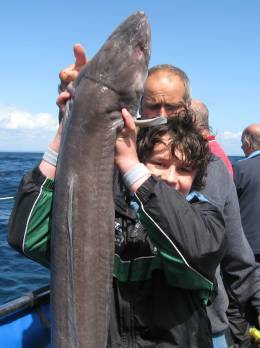 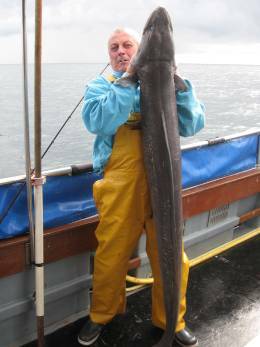 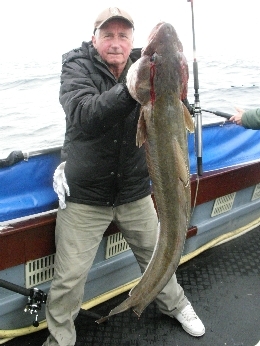 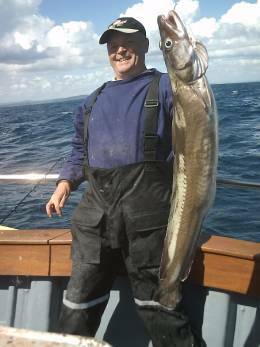 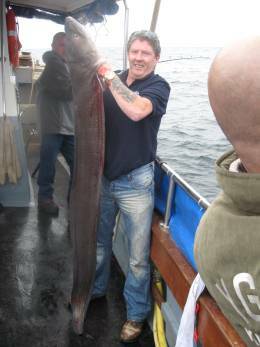 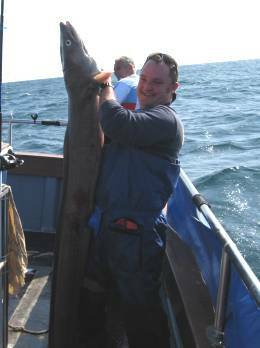 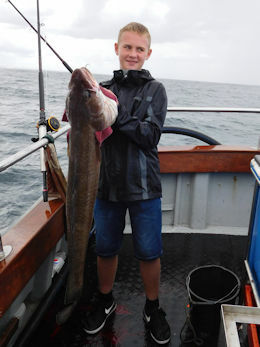 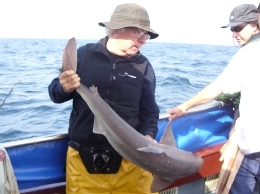 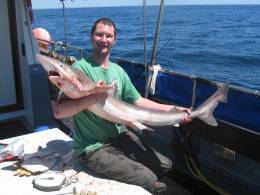 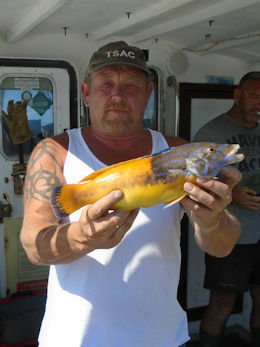 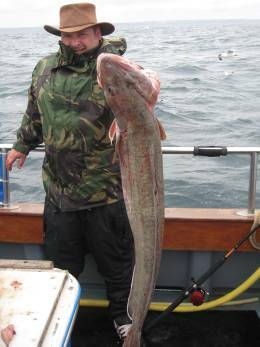 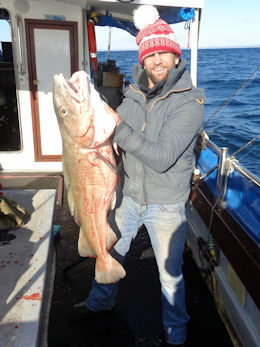 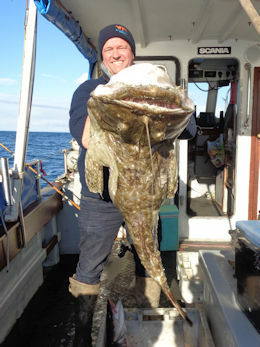 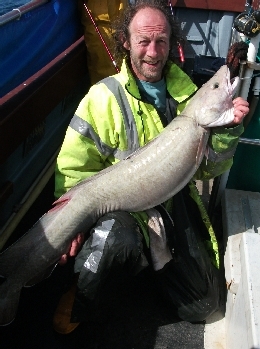 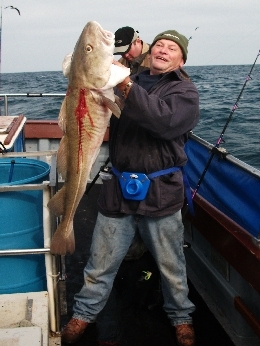 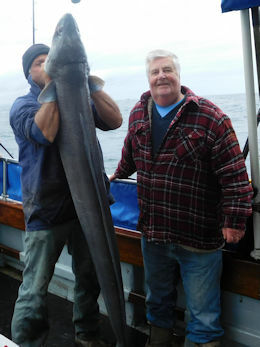 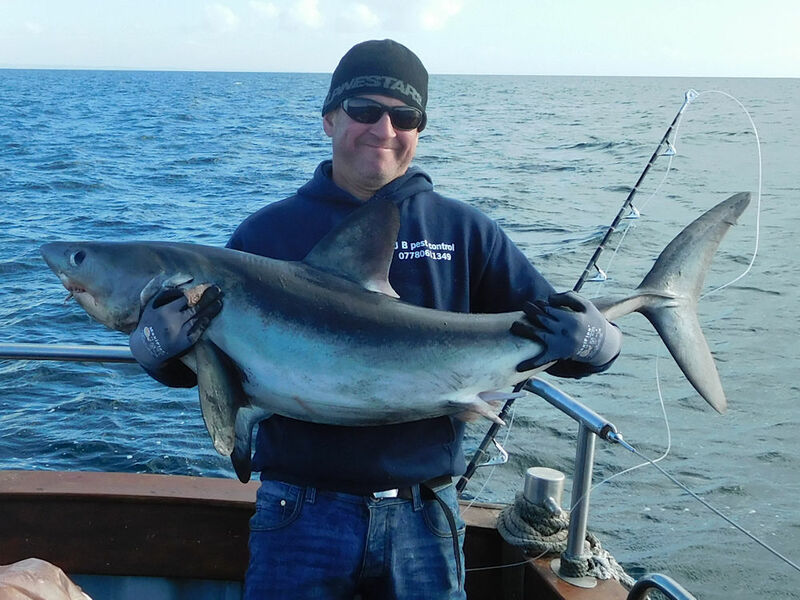 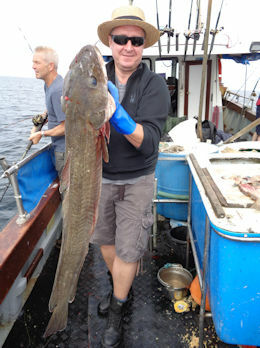 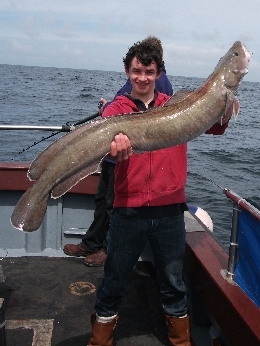 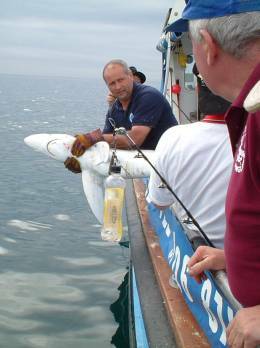 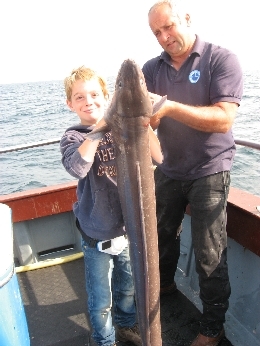 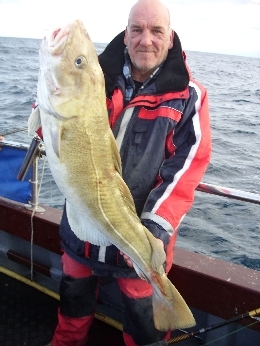 Guy & his 2nd Junior Cornish Record 30lb conger - C.A.R. 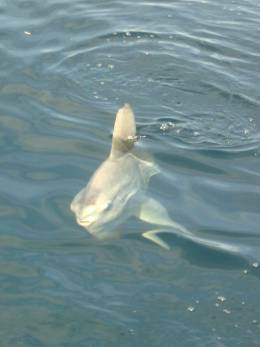 .....came along to say Hi! 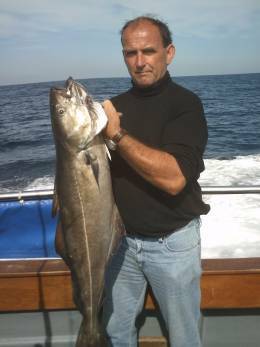 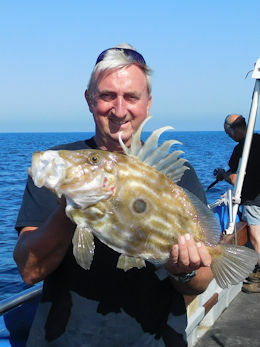 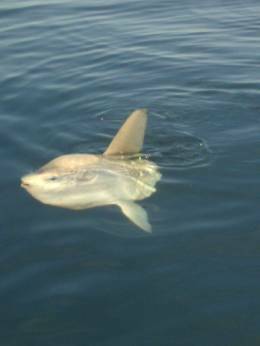 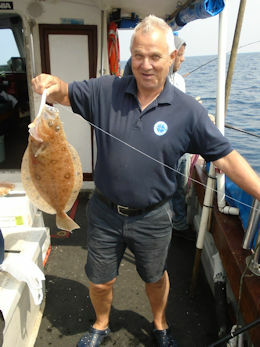 "A great day's fishing on a great boat with a great skipper. 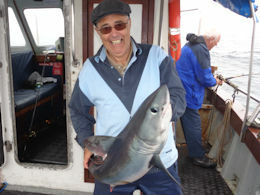 Many thanks, John and Danny." 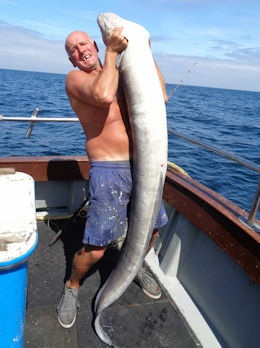 click HERE for their film catching conger!